The Society is a not-for-profit organisation set up to own and and operate The Abingdon Arms, Beckley. The Society is registered with the Financial Conduct Authority (FCA). Our registered number is: 7404 . A community pub is one that is truly owned by the community. Members of the community have bought shares in Beckley & Area Community Benefit Society Limited (“BACBS” or “The Society”) which, has in turn, purchased the pub on behalf of the community, and appointed tenants to run the pub. Those who have bought shares are Members of the Society. All voting Members have a say in future decisions about the Society and the ownership of the pub. Voting Members vote at Members’ meetings to elect a management committee. The operation of the business of the pub is the responsibility of the appointed tenants. We'd like to thank everyone in our local community who has offered support, and particularly those who have offered advice and helped in practical ways. We could not have achieved the purchase of The Abingdon Arms without you. Also many thanks to the army of volunteers who cleaned the pub, cleared the garden, and did the DIY to get the pub shipshape and ready to open for business. We have valued too the information, generous support and active encouragement of colleagues at a number of established community pubs, particularly The Bull (Great Milton), The Drovers Inn (Gussage All Saints, Dorset), The Plough (Great Haseley), The Red Lion (Northmoor) and The Seven Stars (Marsh Baldon). Visit them if you can! We would like also to thank those from outside of our community who have provided professional advice, tangible support and friendly encouragement, including: Ed Murray, The Shotover Brewing Company; Abi Rose, The Black Boy, Old Headington; Hamish Stoddart, Peach Pubs. We would particularly like to thank the Plunkett Foundation that have helped us every step of the way. The support received convinces us of the powerful benefits of community engagement. More Than A Pub is a business support programme that has been established to support community ownership of pubs in England. 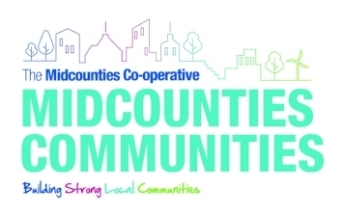 Managed by the Plunkett Foundation, it is jointly funded by the Department for Communities & Local Government and the Big Lottery and is delivered through Co-operative & Community Finance and Power to Change. The More than a Pub programme enables community pubs to become more than places to eat and drink by supporting amenities and functions which bring communities together. The focus is on providing opportunities for social interaction, thereby fostering community cohesion. BACBS applied for funding from the More than a Pub programme to provide full accessibility to the pub and a range of amenities and services over and above those usual in a pub. A matched grant and loan totalling £100,000 was offered and will allow the Society to install fully accessible toilets, improved access to the pub, and to fund a range of socially inclusive activities.